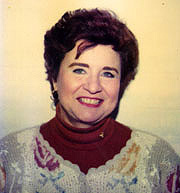 I wanted to make my first article on famous psychics about one that impressed me in terms of her ability to inspire. Lydia Clar is a psychic that believes that everyone who has this gift should share it on some level with other people, to make the world a better place. She also believes that even if you have what you think is a minimal amount of psychic talent, that you can work to increase it. It doesn't have to be an all or nothing factor. In fact, she herself spent many years studying and practicing her talent. She trained at The Inner Vision School in New York, the Transcendental Psychic Arts School in New Jersey and also studied the Silva Mind Control method. I also share her belief that no one should tell another human what to do. Like me, she feels that a bigger picture can be provided, or a glimpse given into an alternate path, and then it's up to the client to decide which path feels right for them. She also feels that if she senses that you have strong psychic tendencies, dormant or otherwise, she'll let you know that and encourage you to explore that yourself if you do desire. She did this very thing with John Edwards, the very popular Medium who hosts the Crossing Over series. Ịn fact, I think she's more well known for her contribution to the launching of John's psychic path than her own work! As far as Lydia's background. She was aware of her abilities from childhood (most psychics know early on) but it was suppressed after a traumatic event. She later called upon it after her mother needed urgent assistance in this regard. Her ability remained under the surface for the most part until she herself went for a psychic reading at 18. She was so impressed and inspired that she decided this would be part of her life's work. In addition to her psychic work, she does volunteer work and is ever vigilant in returning the blessings that have been bestowed on her. Lydia teaches meditation, psychic enhancement, psychometry, spiritual evolution and of course does psychic readings and has books for purchase. She travels internationally and does TV and radio appearances.